On Monday, May 8th at 12:15, Bill Richard from the Martin Richard Foundation will be speaking to the students at the Horace Mann Middle School in Franklin, Massachusetts. Mr. Richard will be kicking off Peace Week at HMMS by spreading his son, Martin’s message: “No more hurting people. Peace.” As you may remember, Martin was the 8 year old boy killed during the Boston bombings. 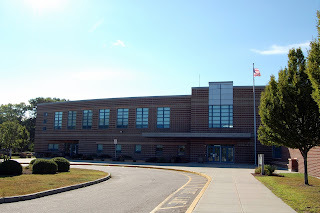 Peace Week at HMMS will actually begin at 7:00am on May 8th with a surprise welcome. Students will be greeted by members of the HMMS Community Service Club and the Franklin High School 40% Club. This will be a “Morning of Happiness”. The remainder of the week will include a Wall of Compliments, a Kindness Raffle and another surprise message on Thursday morning.